For consumer-facing businesses, commercial success was once defined by product quality, price, and post-sales service. This era is clearly now over. Product-focused characteristics do continue to factor importantly in commercial success, but with a caveat: customer engagement and experience must now be a major part of the mix. One study estimates that by 2020 customer experience will become the most critical brand differentiator, overtaking price and product. Moreover, 86% of customers would be willing to pay a premium for a better experience. We now live in an expectation economy – technology has raised the bar for customer experience to such an extent that brands must proactively anticipate everything related to the customer-product relationship and deliver on these heightened customer expectations. Digital technologies have created channels upon channels of customer touchpoints that continuously record invaluable customer data. The smart organizations are drawing the data into analytical systems. Sophisticated models fashion the data into insights. Artificial Intelligence and Cognitive Process Automation ingest these insights to deliver lightning-fast responses designed to impress customers and win their loyalty. The world of customer experience is swiftly moving from reactive to predictive. Not all businesses are doing as much as they can to leverage the sheer amount of customer data available to them. Consider the business traveler who needs lounge access at airports. The traveler swipes a credit card to pay the airport operator for access to the lounge. The credit card company now knows that the traveler is accessing a lounge service. In fact, the company knows all the airports at which the traveler has used a lounge (whereas the airport operator doesn’t have this knowledge and is therefore at a disadvantage). It wouldn’t be difficult to use this data to create a personalized offer for the traveler that provides lounge access based on usage, thereby grabbing a slice of the revenue pie! Or take the case of an Asian traveler who is in Europe only to discover that a transaction on the card has been rejected. The traveler now needs to call the credit card company to figure out what went wrong and set it right. Imagine instead a system that can detect the customer is outside the country of origin and is in trouble, collect information on the failed transaction, compile possible corrective measures, share the data with a customer service representative, and automatically dial the affected customer to resolve the problem. Offering this level of proactive service demands a combination of capabilities ranging from real-time data analytics to AI – all of which are currently within reach. Some industries will see customer experience scenarios that are far more complex. Auto insurance, for example, will deploy sensors that track vehicle metrics, such as speed, reaction time, road conditions, and send this data to systems for real-time analysis, allowing insurance companies to dynamically adjust premiums. The same systems could also offer safety precautions or driving tips to improve fuel efficiency – all in real time. The telemetry data could also be used to assess vehicle performance and maintenance requirements, alerting the vehicle owner and service providers of the exact components that need attention. Similarly, in the event of an accident, vehicle data (location, time, speed, etc.) could be automatically recorded and sent to a pre-designated assistance number to trigger timely aid. Insurance processes could be set in motion simultaneously, automatically putting together documents such as vehicle ownership, the driver’s license, insurance contracts, surveyor comments, and images of the damage (taken over a mobile phone) thus reducing paperwork, reducing wait times for payouts, and curbing potential fraud. To elevate the customer experience in our auto insurance example, a provider could automatically report an accident to the nearest auto maintenance workshop. This would set in motion cost estimates for the repair and orders for replacement parts – before the vehicle is dropped off at the repair shop. Given the different players involved here, blockchain could play a critical role in making reliable and relevant data available to each entity in the value chain, ensuring a high level of transparency across the procurement and billing processes. In this scenario, we see a number of technologies being orchestrated, from IoT to mobility, analytics, file management, machine vision, workflow management, AI, and blockchain. This level of personalization and customization requires a platform that stitches together all the dynamic technologies and processes that are in motion. Ideally, this platform would integrate extensive digital process automation capabilities with built-in robotics, AI, and CRM. For organizations that have already begun their digital transformation journey, it might be a platform like Pega, which provides the additional ability to support legacy and digital applications – a major draw for organizations keen on extracting ROI from their existing investments. As we advance towards an increasingly customer-centric world, no piece of customer data or technology will be insignificant. By harnessing data and dynamic technologies to build proactive, insightful, and helpful responses, businesses will come to gain their customers’ trust and loyalty. In order to turn this vision into reality, it will be essential for organizations to adopt integration platforms that allow them to effortlessly build complex workflows, leverage any type of data, and put every kind of technology to work. Sitaram Mohan is Wipro’s global head of Pega Practice and Solutions. With more than 20 years of consulting and systems integration experience, he advises clients across digital automation, robotics and customer service. 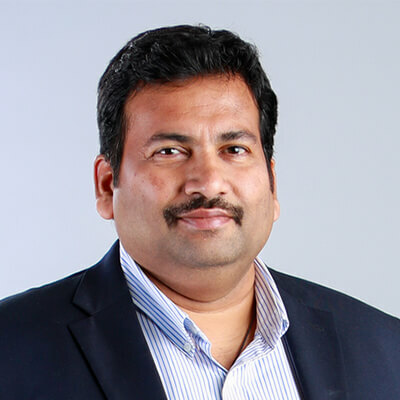 During his 14 years at Wipro, he has held key roles including client partner, delivery head and architect. CMOs: Swiping left on technology and data?